Farmers in US can now get a bird's-eye view of their fields to maximize their crop yields, thanks to new innovative tool - drones. Researchers from the Michigan State University are using first unmanned aerial vehicle to help farmers improve yields by improving nitrogen and water management and reducing environmental impact such as nitrate leaching or nitrous oxide emissions. 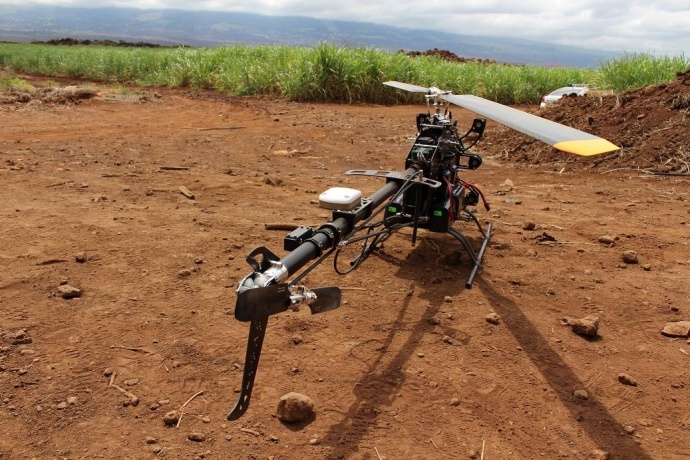 MSU's UAV measures how crops react to stress, such as drought, nutrients deficiency or pests. The drone flies over the field documenting the field's status - down to centimetres. The portrait gives farmers details on the current health of their crops. "Rather than covering the entire field with fertiliser, it can be applied exactly where it's needed. We basically try to do the right thing, at right place, at the right time," Basso said. The UAV has three sensors: a high-resolution radiometer; a thermal camera, used to monitor plant temperature and hydration; and a laser scanner, which measures individual plant height in centimetres. "The UAV is like an X-ray. Before we can diagnose the problem, we need to collect as many details as possible," Basso said. The response to light varies among plants based on their health. Through combinations of spectral reflectance bands, researchers can determine the plants' main source of stress, such as water or nitrogen. With X-rays in hand, Basso can plug in the data into the System Approach for Land-Use Sustainability model (SALUS). SALUS is a new generation crop tool to forecast crop, soil, water, and nutrient conditions in current and future climates. It also can evaluate crop rotations, planting dates, irrigation and fertiliser use and project crop yields and their impact on the land. The combination of drone and SALUS allows farmers to maximise their efforts in a sustainable fashion. They can distinguish plants that need water or nitrogen, and treat their plants - rather than their entire field - immediately.